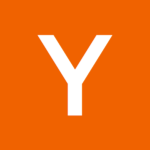 SaaS Q&A: How can an early SaaS startup acquire customers? Customer acquisition is particularly critical at the earliest stages when resources are tight. So what can you do early on that will get your product in front of many eyes, acquire customers, and not break the bank? We put together some ideas. Here is a quick list of some activities and strategies any B2B SaaS startup can employ to kickstart their customer acquisition from the very beginning — from introducing your product to the online community, to gaining exposure and elevating your brand, to old-fashioned, in-person networking. 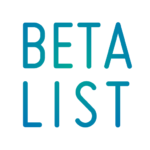 Submit your startup on BetaList, a platform for entrepreneurs and creators to find early adopters of their products. In turn these early customers can give you valuable feedback. 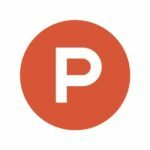 Dubbed “Tech’s new tastemaker“, Product Hunt is an online community of tech fans and product fiends. It’s built so that members can easily discover new products. Within the overall community discussion on Hacker News, there’s a specific place for people to share things they have made. Submit your full product here, and let the HN users check it out, provide feedback, and ask questions in the thread. Find the best conferences and events that are super relevant to your businesses. You want to find the ones where there’s literally a hall full of your potential customers. It’s worth spending some money here on sponsorship, or a stall — if you acquire some new accounts, you’ll quickly compensate for the cost. Only focus on the highly relevant events. Start to build an audience, with high-quality, long-life, relevant content marketing. This is sometimes called “evergreen content”. Publish thought-leading and insightful content on your topic, including useful resources that your readers can get value from. Publish this content in as many (relevant) channels as possible, any place online where your potential customers might be discussing their business or the industry. Essentially, get in on the conversation – position yourself as a trusted voice in the space and your product will be recognized. Scour sites such as AngelList and Crunchbase to gather some outbound leads. Set up an outbound funnel for reaching out to the decision makers who would consider your product. Optimize this funnel. Present at events, connect with fellow startups, go to meetups focused on relevant topics. This will also help you when it comes to recruiting and hiring. Utilize your investors, and their networks, to get your product recognized across their space. What are some customer acquisition strategies that a B2B SaaS startup can try from day 1?